There’s been a lot of buzz lately about thyroid problems and the potential of coconut oil to help fix them. Coconut oil can be used to treat hypothyroidism, or an underactive thyroid, to a great extent. But for other thyroid problems, coconut oil is not that effective. The thyroid gland is one of the largest endocrine glands in the body. It produces the hormones thyroxine (T4) and triiodothyronine (T3). These hormones work together to regulate mood, metabolism, energy levels, body temperature, heart rate and blood pressure. 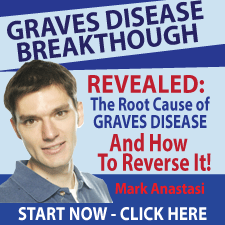 Thus, it is important that this gland functions properly for overall health. In simple terms, hypothyroidism, also called underactive thyroid or low thyroid, means the thyroid gland does not produce enough thyroid hormones. Due to low levels of thyroid hormones, the body is not able to perform normal metabolic functions, such as proper use of energy from food products, regulation of several chemical reactions in the body and even maintenance of healthy cells, bones and muscles. During the initial stage, underactive thyroid usually does not cause any symptoms. 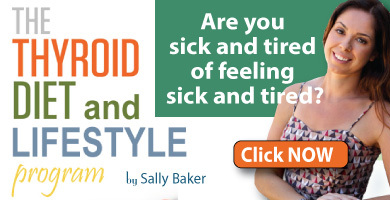 However, long-standing, untreated hypothyroidism can lead to weight gain, joint pain, increased sensitivity to cold, constipation, fatigue, general weakness, heavier menstrual flow, brittle hair, weak nails, dry skin, heart disease and infertility. An underactive thyroid can only be diagnosed by examining the level of thyroid hormones in the blood. There is no known prevention for hypothyroidism, nor is there a cure. Once you have it, you have it for life. 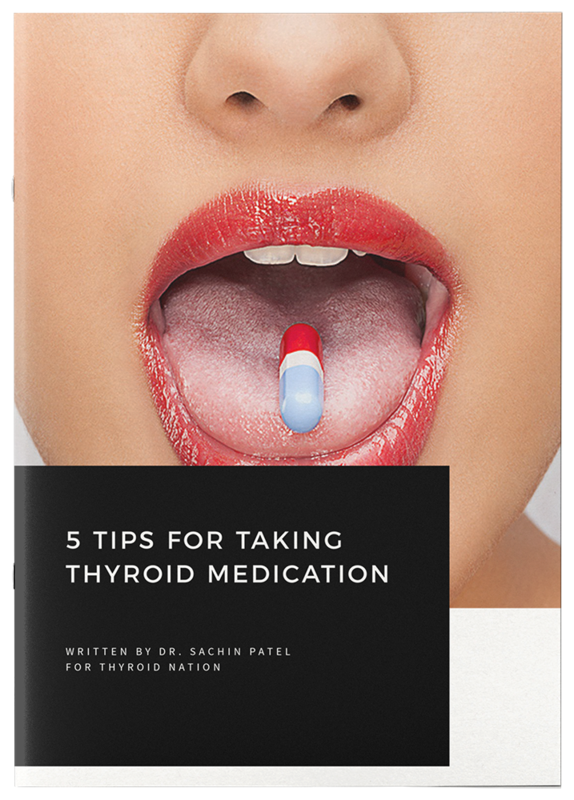 To keep things under control, synthetic thyroid hormones are considered a simple, safe and effective option. When it comes to alternative medicines, coconut oil benefits some symptoms of hypothyroidism. The benefits of coconut oil in hypothyroidism are mainly due to its unique medium-chain fatty acid profile. Lauric acid is a type of medium chain triglyceride. These medium-chain fatty acids found in coconut oil are the same as those in a human mother’s milk. It has excellent anti-inflammatory and antimicrobial properties. Another fatty acid that coconut oil contains is caprylic acid, also found in breast milk. This fatty acid has a number of health-promoting properties and the innate ability to treat yeast-like fungus in the intestines. Another one is capric acid, which has potent antimicrobial and antiviral properties. Here are some of the ways that coconut oil helps treat problems related to hypothyroidism. 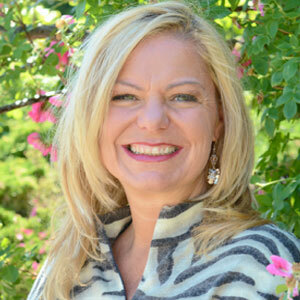 Unexplained weight gain is one of the most common symptoms of low thyroid hormones. According to a 2008 study published in the Saudi Medical Journal, overall thyroid dysfunction is common in overweight people with varying degree of significance. If you have hypothyroidism, weight loss is not an easy task. This is because thyroid hormones have a direct impact on your metabolism. Coconut oil can help with weight loss due to the medium-chain fatty acids in it. A 2002 study published in the Journal of Nutrition suggests a greater satiating effect of medium-chain triglycerides (MCT) compared with long-chain triglycerides (LCT), and MCT facilitates weight loss. Later, a 2009 study published in Lipids highlighted the positive effect of dietary coconut oil on the biochemical and anthropometric profiles of women presenting abdominal obesity. Thus, regular intake of coconut oil can help promote weight loss. 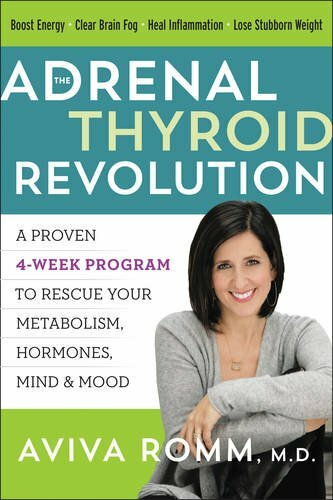 Thyroid hormones play a key role in how your cells function and affect your metabolism level. An underactive thyroid can lead to less energy, fatigue and constant tiredness. You can combat these symptoms of low thyroid with coconut oil. The medium-chain fatty acids in coconut oil enter easily into the mitochondria – the cells’ energy-burning powerhouses. From here, the fats are converted to energy. This is turn gives a boost to your metabolism. It even raises the basal body temperature, which is important for those dealing with low thyroid. Plus, most of the fat content in coconut oil is in the form of lauric acid. When ingested, the lauric acid gets converted into monolaurin, which has antiviral, antibacterial and antiprotozoa properties. This improves your metabolism as well as immunity. By adding extra-virgin coconut oil to your diet, you’ll keep your metabolism as well as immune system strong. Even the ancient practice of oil pulling with organic coconut oil can help improve metabolism and shed excess pounds. Oil pulling is inexpensive, harmless and easy to do. The process simply involves swishing 1 tablespoon of the oil in your mouth for 15 to 20 minutes daily in the morning on an empty stomach. Muscle and joint pain are common in people suffering from hypothyroidism. This is due to an increase in inflammation in the body due to low thyroid hormone levels. Neuromuscular symptoms were common in most patients with thyroid problems, according to a 2000 study published in the Journal of Neurology, Neurosurgery & Psychiatry. As coconut oil has a direct effect in suppressing inflammation and repairing tissues, it is considered highly effective in the treatment of hypothyroidism. To reduce muscle and joint pain, massage the affected areas with warm coconut oil a few times daily. Low levels of thyroid hormones slow down the body’s functions, thus slowing down the function the digestive tract as well, including the small and large intestines. Also, it contributes to weakening of the contraction of muscles lining the digestive tract and does not allow stool to move easily through the intestine, leading to constipation. 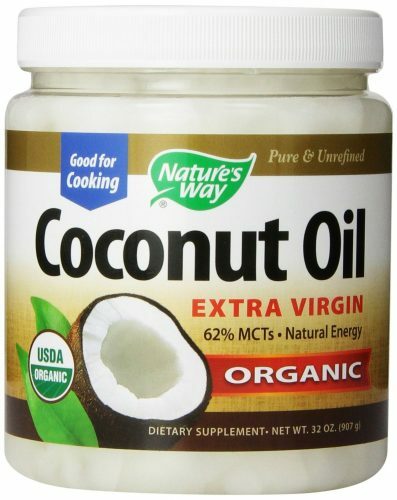 The huge amount of medium-chain fatty acids in coconut oil is the secret to constipation relief. These fatty acids provide the energy needed by the intestinal cells to boost their metabolism and stimulate bowel movements. Coconut oil also works as natural laxative, which helps soften your stool. Add 1 teaspoon of extra-virgin coconut oil to a glass of warm milk and drink it daily before going to bed. This will help maintain regularity. Dry, flaky and itchy skin is a common problem associated with hypothyroidism. The slowed metabolism due to an underactive thyroid causes reduced sweating, thus leading to dry skin. Coarse, rough and dry skin is the most common cutaneous feature in patients with hypothyroidism, according to a 2012 study published in the Indian Journal of Dermatology. To get rid of dry and itchy skin, coconut oil is highly effective. The fatty acids in it help restore the lost moisture and improve skin health. Liberally apply warm coconut oil over your dry and itchy skin and massage for 10 minutes. Wait 30 minutes, then take a bath. Do this daily. When the thyroid gland is not working properly, the effects can be noticed in hair growth. Not just the hair on your head, low thyroid functioning can affect eyebrows and body hair, too. Also, a 2003 study published in the Journal of Cosmetic Science reports that as compared to mineral oil and sunflower oil, coconut oil is highly effective for preventing hair damage. The lauric acid in it has a high affinity for hair proteins and, due to its low molecular weight and straight linear chain, it is able to penetrate inside the hair shaft. To treat hair loss and other hair-related issues, use warm extra-virgin coconut oil to massage your scalp for about 5 minutes. Leave it on overnight. Wash your hair the next morning with a mild, organic shampoo. Do this a few times a week. For thyroid problems, you must use only extra-virgin coconut oil. You can consume 2 to 4 tablespoons a day. There are many ways to include this oil in your diet. Add extra-virgin coconut oil to hot tea, coffee or milk. Use it in your daily cooking. Add it to smoothies and drizzle it over your salad or soup. 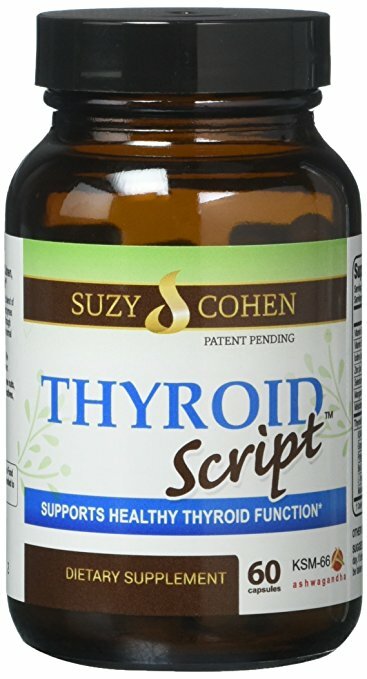 Questions or anything to add about how coconut oil can help your thyroid health? We want your thoughts, please. You might just help someone else in need. Why would you say hypothyroid is Not curable? I had it , thyroid cancer too, & I’m getting better by the day! Weightloss, no insomnia, energetic again, hair growing! I kept my thyroid…ALL of it, will be 45 this year, I’m back at the gym, cycling, training for Spartan Race! My secret? I stopped seeing Dr.s! The BODY repairs itself!